Staffordshire based laser cutting specialist Laser Process is enjoying impressive growth so far in 2012 as a direct consequence of diversification and a buoyant Midland manufacturing sector. The company has hit the £5 million turnover mark for the first time in it's history, after securing a healthy amount of repeat business from some of the region’s largest manufacturers and an increasing number of new customers. The tough economic climate in recent years encouraged the firm to diversify, securing a lucrative contract to produce 240 life-size statues for installation along Britain’s footpaths and cycle ways as part of the project led by transport charity Sustrans. This has seen the company produce mimics of famous figures such as Gary Barlow, Stan Laurel, Rob Brydon and footballer Ledley King in their respective local areas, affording national exposure to the handiwork of the Midlands firm. Another public art project the company was involved with was the creation of a stainless steel statue in Lichfield to commemorate Erasmus Darwin, a renowned scholar and grandfather of Charles Darwin. 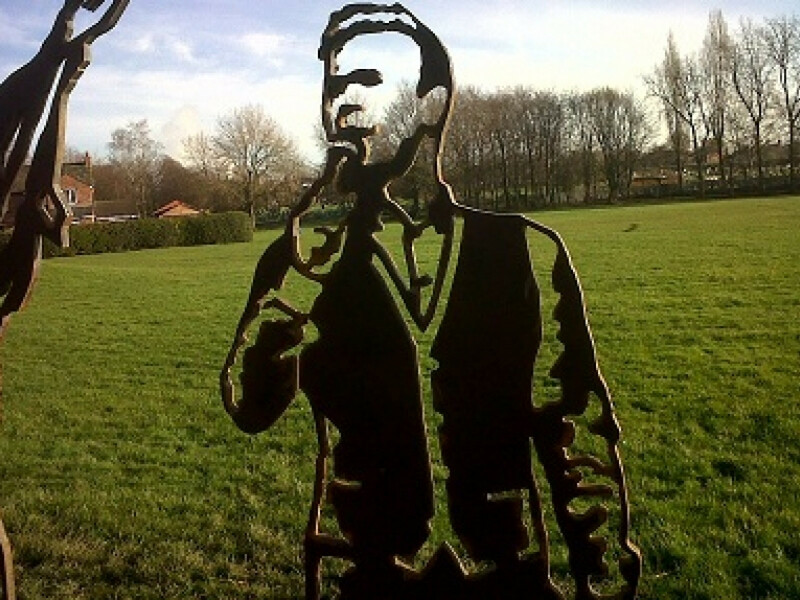 The work, which will be officially unveiled in May 2012, was one which held particular resonance for David: “I was born in Lichfield so it’s particularly nice to be involved in something like that happening in your home town” he said.